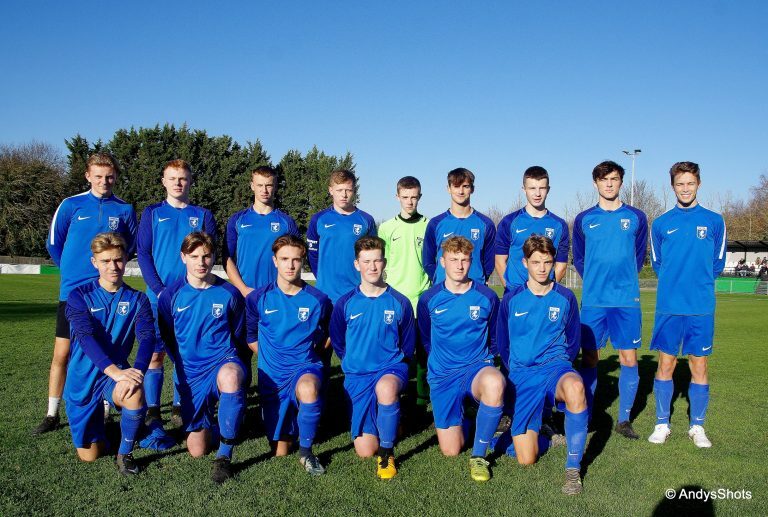 On a bright sunny if chilly day at Corinthian FC, Kent won their opening game in the South East Counties ‘under 18’ Youth Championship against a battling London side. 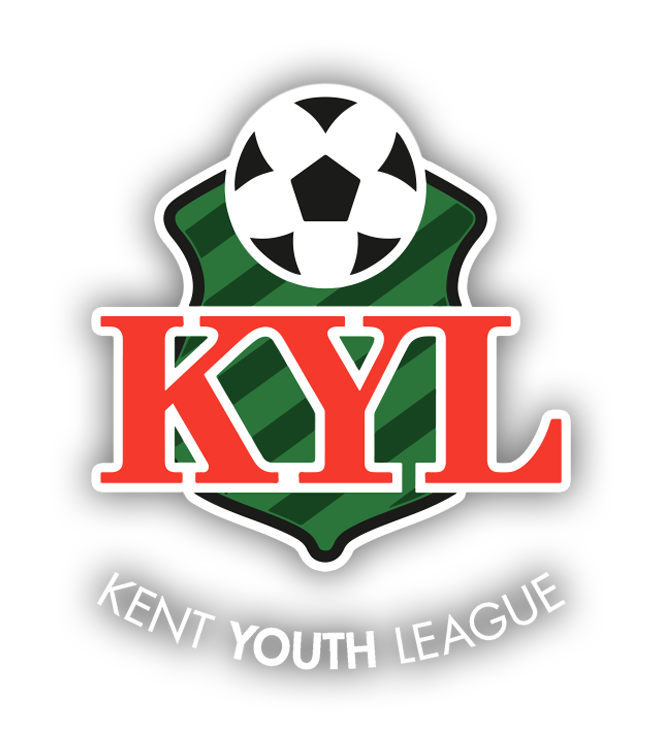 Kent dominated the match for long periods and might have won by a far greater margin if it hadn’t been for some profligate finishing and good goal keeping from London keeper Tommy Kemp. Kent playing down the slope in the first half had their first chance on 8 minutes when Jake Sunborg’s in-swinging corner from the right found the head of Baily Sinnock in the crowded area but his downward header was cleared away off the line by a London defender guarding their right hand post. A minute later another Sunborg right wing corner flew through to the far post where Cameron Williams rising highest nodded narrowly wide. A good interchange on 12 minutes from Scott Jarvis and George Robinson saw Jarvis’s through ball put Robinson in on goal on the right side of the area but his low shot flew wide across the face of goal. Minutes later another incisive pass from Jarvis inside the full back found the run to the bye line of Robinson whose cross flew through the box to the far post where Sunborg laid the ball back to Ryan Kingsford who in turn found Beau Landau who fired over when well placed. Another chance went begging for the home side on 20 minutes when Freddie Entwistle’s ball over the London back line was seized upon by the speedy Robinson who then raced into the box but in trying to chip the advancing Tommy Kemp, he sent his effort over the bar. Just before the half hour mark Landau’s free kick from wide right found the run of Robinson to the near post but his header flew just wide of the target. Kent finally made the breakthrough on 36 minutes when again good work by Jarvis and Robinson down the right saw Jarvis play the ball up to Robinson who initially turned to his right deceiving two London defenders before playing a delightful back heel flick onto the run of Jarvis who ran through on goal before neatly chipping the ball over the advancing Tommy Kemp into the net. Just before half time it was nearly two when good passing and movement from Kingsford and Robinson saw the latter find Landau whose fierce drive on the turn was well saved by Tommy Kemp high to his left for a corner. This was taken again by Sunborg and found the run of George Porter to the near post but his powerful header was kept out by a combination of Tommy Kemp and a defender low at their left hand post. London kicking down the slope in the second half had their first shot on target on 46 minutes when Omar Belazregue hit a long range shot straight at Kent keeper Wayne Everest. On 52 minutes Kent’s Harrison Pont tried a 35 yard shot that flew just over before London might have equalised on 59 minutes when Belazregue’s pass found the lively Nathan Gale who in turn found the run down the left of Tafari Jallim. He powered into the box but with only Everest to beat he sent his shot into the side netting when well placed. This miss proved doubly costly as Kent scored their second just minutes later when Jacob Gilbert’s cross field pass found the run into the box on the left side of the area of Craig Appleby and he scored with a tidy lob over the London keeper into the net. London tried to hit back immediately with Gale having a shot on the turn held by Everest moving to his left. It was then the turn of Kent to go close to increasing their lead when Kingsford’s through ball put Entwistle in on goal on the left side of the area but his rising shot was well pushed over by Tommy Kemp diving high to his left. London then had a good spell of pressure going close to scoring on a number of occasions. Reuben Matheson’s right wing cross found Belazregue in the box but his powerful low shot on the turn was well saved by Everest down at his left hand post. Then Matheson’s pass found Jallim racing in on the right edge of the box but his rasping drive from an acute angle flashed wide before Gale’s through ball found Lekan Orimousi, who had only just come on and with his first touch fired a shot just wide. On 73 minutes Orimousi took a 25 yard free kick that Everest saved well diving low to his right. However having survived this spell of pressure Kent then managed the remainder of the game well with a series of substitutions taking the sting out of the London attack. Indeed the last chance of the game on 89 minutes fell to the home side when Gilbert’s free kick from wide right to the near post was met by a stooping header from Robinson that brought out a good diving save from Tommy Kemp low at his left hand post.